Come early at both locations to take a family picture at our photo booth and to enjoy some free coffee and cookies. New for this year, GT Kids Ministry will be having Easter Kid Jam for kids ages birth - 5th grade during all Easter services. Kids can hear the Easter story at their level and enjoy a service geared just for them. Click on a service time to add it to your calendar on your computer or mobile device. Click on a button below to send this invite to your friends on Facebook! To share another way click the green download button and send via Email, Twitter, etc. 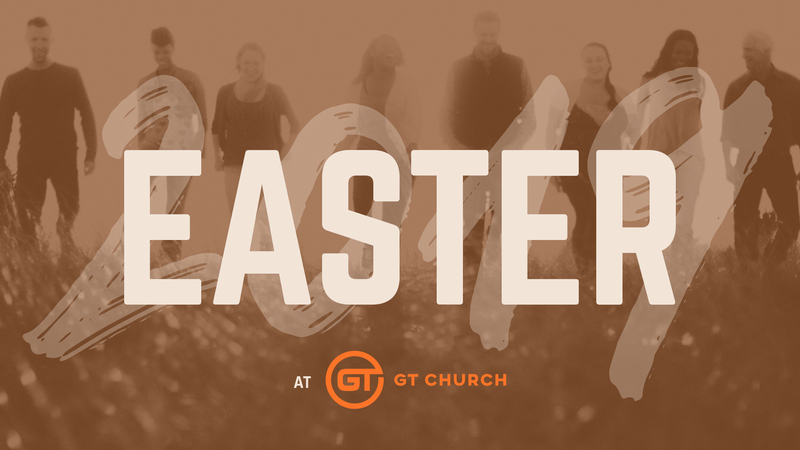 To learn more about GT Church, visit our website.